Looks amazing, lovely design. Look forward to seeing on the road. Finally a decent livery by Citybus and not something that looks like a child designed it! yes Bradley you are DEFINITELY right! 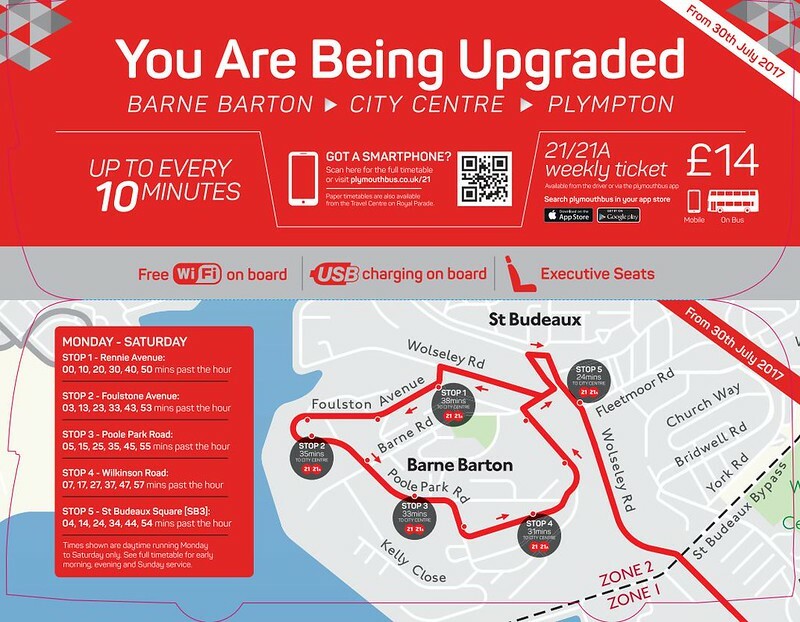 I have also seen the same poster for the 42abc services 'you are being upgraded' which shows the red flash DDs. Personally I don't see it as an upgrade for them, albeit now more capacity with the DDs, the service is used to relatively new and in good order buses with high back leather seats! 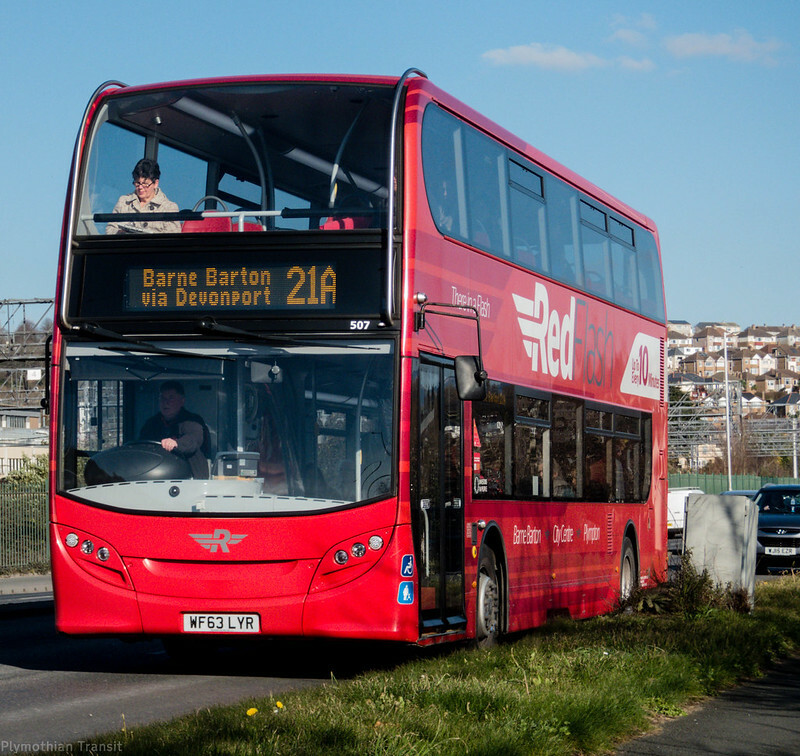 The red flash DDs being the work horses of the 21 routes for the past few years are looking tired both inside and out! With that advertising I think passengers could be a little disappointed with what arrives on the 42s when the change takes affect! Possibly, but the E400s are still in pretty good shape and are comfortable buses. I think more people will be grateful for the extra capacity which is desperately needed for this route. Nice high back seats are only useful when you can actually get one. Absolutely, as a daily user of 42 services the uplift in capacity will be very welcome. 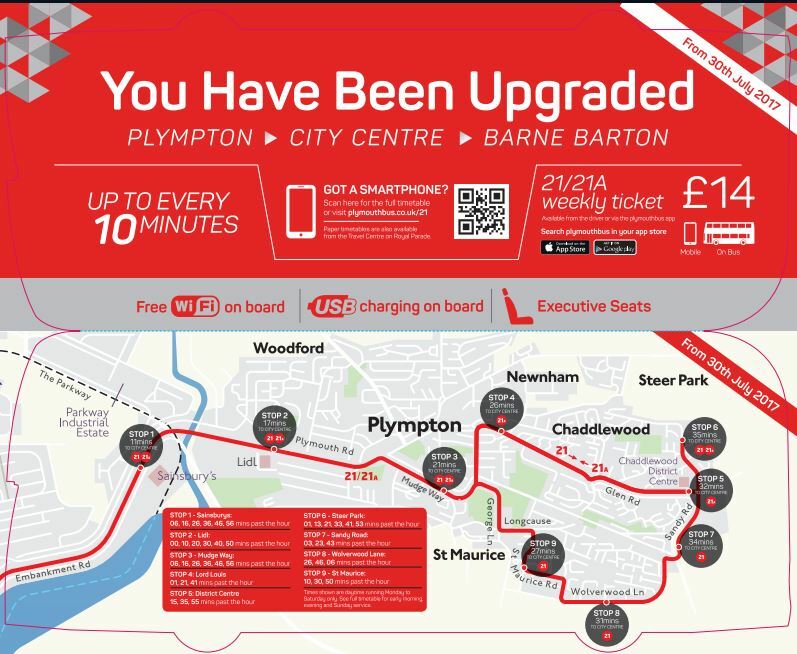 It's just not quite the same 'upgrade' as is being seen on the 21/a route! I agree, capacity is hte major problem on these routes. Try catching one about 1700-1720 into town from Derriford they're always full and standing. Double deck capacity is desperately needed so I'm sure commuters and passengers will be very grateful and pleased with it. Definitely made the right decision I think. 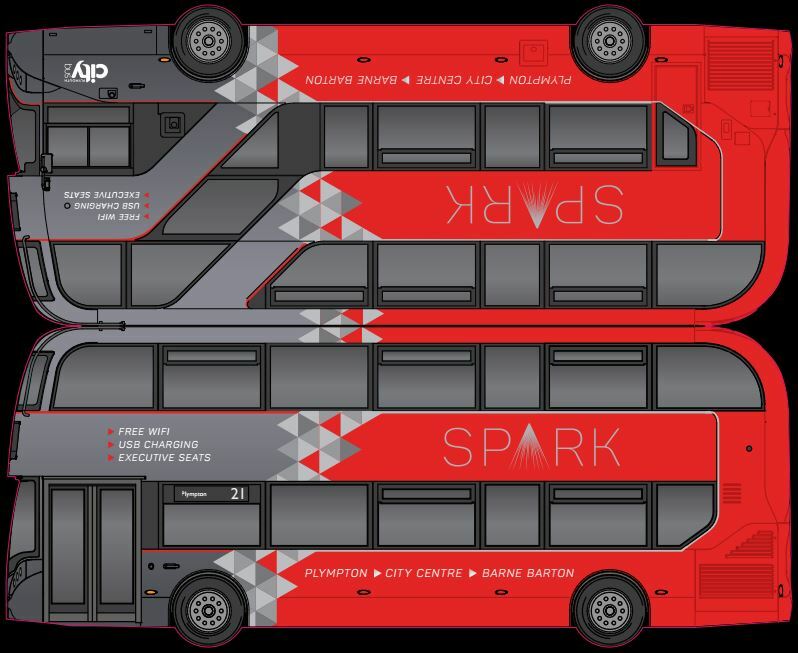 Maybe a refurbishment for the Red-Flash buses a little later on, could be a good compromise - Altering the existing seats to high back could be done at this stage. Arriva have done this with many of their MAX vehicles previously having normal seats, but converted to high back on re-furbishment (using the same style seats that Citybus use as well). However some of the other buses like the Citaro's may be a higher priority for a re-furb, as they are more tattier than the enviro's inside! I use Stagecoach 1 from Derriford to City. 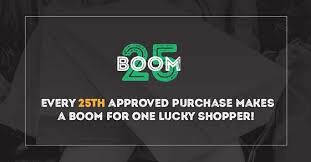 Always D Deckers, sometimes quite busy and saves me over £250 per year! Not being a local, but being local to another area where both Go Ahead and Stagecoach both operate services I was wondering which operator people would consider the 'better' operator. I find that Stagecoach are very good where I travel: very comfy, modern buses with just the right capacity (unless Go Ahead have a breakdown or run late, very often happens) and which they can get very full. Go Ahead seem to have a problem writing timetables, or keeping to them. I have never seen a certain one of their services run less than 10 minutes late! They are also more expensive but have allocated their buses to the right routes more than I can say Stagecoach do (although allocations have been very messy recently due to the arrival of new buses!). I am not local, but I do wonder whether Stagecoach could expand in Plymouth without making loss? It seems like they only took over a small amount of First services and looking at a map I think they could potentially expand quite a lot. Stagecoach are taking over the old city bus route 36 In September.